A safe, sacred and magical space for creativity and discovery. 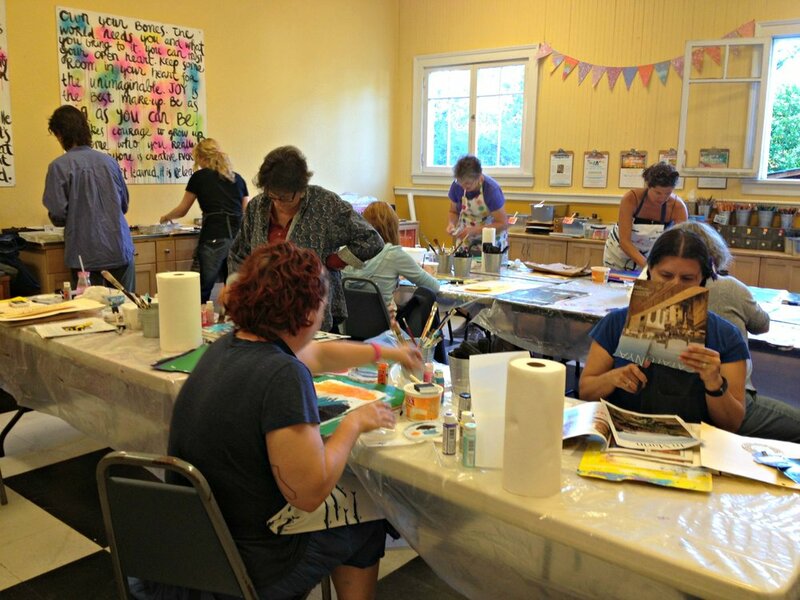 Unfold Your Creative Spirit Studio is my brick & mortar art journaling studio in Cotati, CA. 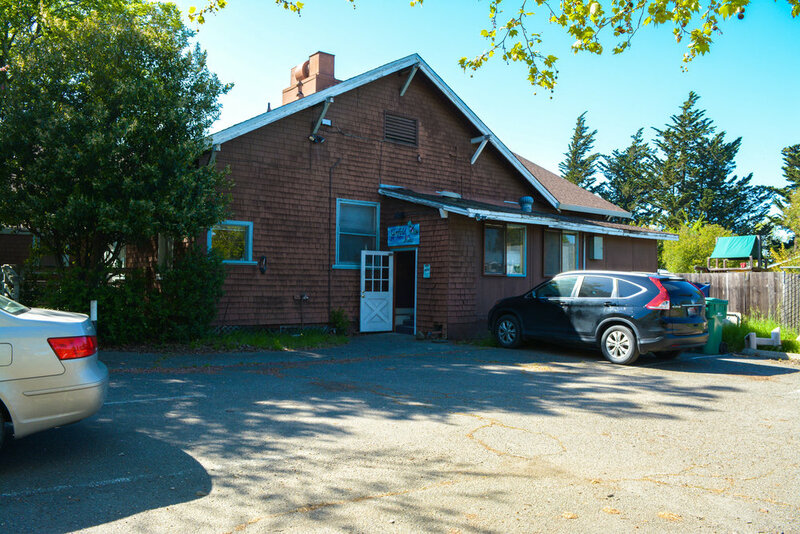 (Cotati is in Sonoma County, about one hour north of San Francisco and the East Bay.) 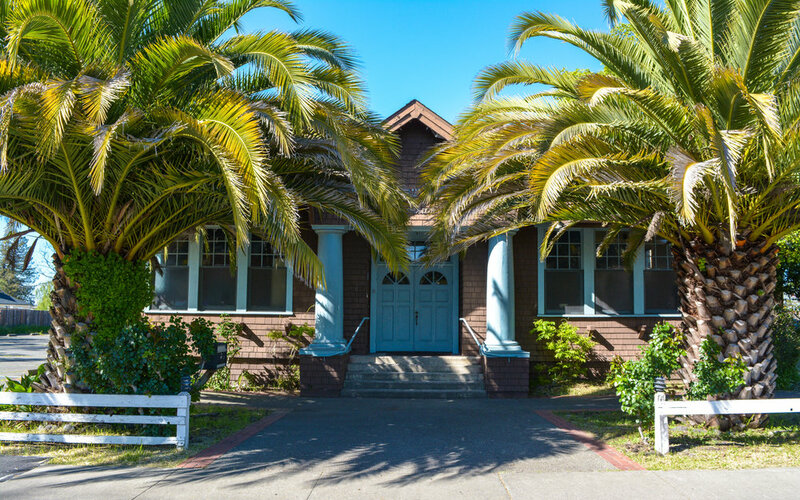 It's located at the back of a historic Craftsman bungalow which is also the home of Congregation Ner Shalom (my fabulous synagogue and spiritual home) and the former home of the Cotati Cabaret. This building has some cool history and great spiritual juju! Every wall of this room is packed with amazing supplies, all for my in-person students to use, explore and enjoy. 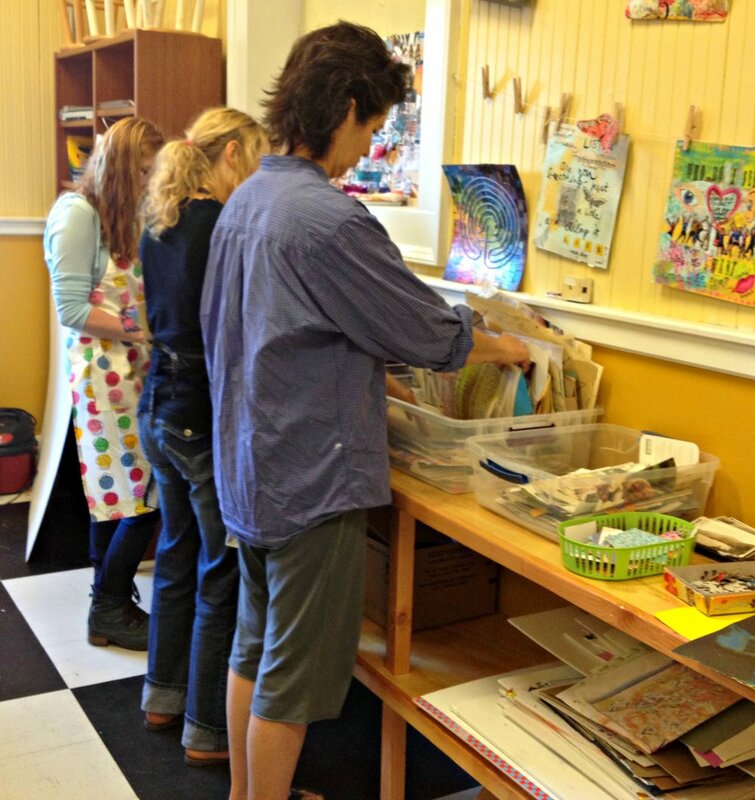 This space has incredible positive energy and so much powerful creativity happens inside! I hope you can come art journal with me here some time soon! Click the button below to take a look around INSIDE the studio!